Proteoglycans are glycosylated proteins which contain covalently attached highly anionic glycosaminoglycans (GAGs). Proteoglycans are present in different forms within different types of extracellular matrices and connective tissues. 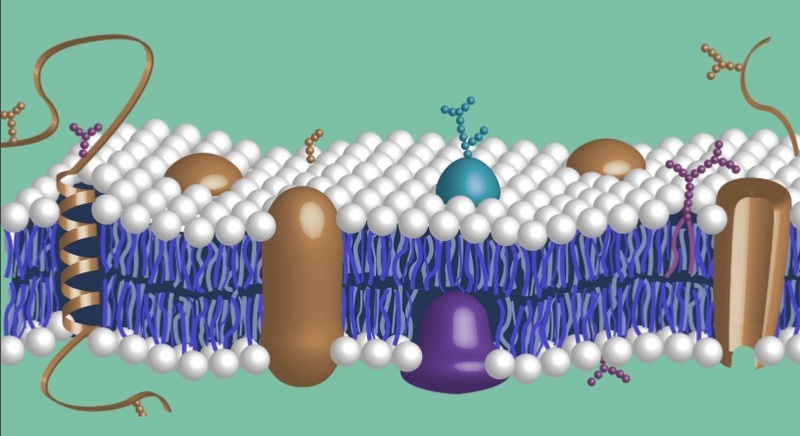 Heparan sulfate proteoglycans (HSPGs) are known to play important structural and functional roles in linking the component proteins of the basement membrane, controlling the permeability properties of the membranes and signal transduction. Chondroitin Sulfate Proteoglycans (CSPGs) are involved in the inhibition of axon regeneration after various forms of damage to the Central Nervous System. The new catalogue provides detailed information on AMSBIO’s extensive range of products for glycobiology research including antibodies, enzymes, assay kits, substrates and standards. AMSBIO is the leading supplier of antibodies that recognize defined epitopes within the carbohydrate (GAG) domains of proteoglycans; and also GAG-degrading chondrotinase, heparinase, hyaluronidase and keratanase enzymes, again with specific and defined activities. These can be used together to detect subtle differences or changes within the structure of GAGs. In addition to product information, the catalogue brings together useful background materials associated with this research area including an introduction to the structure / composition of proteoglycans and glycosaminoglycans as well as the latest research papers citing use of AMSBIO high purity reagents and assay kits. Tesla’s Ultra-Speed Transportation System ‘Hyperloop’ Could Offer 700 mph Rides for Free! Gunmaker Smith & Wesson Is Struggling… For Now.